We’d love your help. Let us know what’s wrong with this preview of Madam Tulip and the Bones of Chance by David Ahern. A millionaire banker, a film producer with a mysterious past, a gun-loving wife, a A surprise role in a movie takes actress Derry O’Donnell to a romantic castle in the Scottish Highlands. But romance soon turns to fear and suspicion. Someone means to kill, and Derry, moonlighting as celebrity fortune-teller Madam Tulip, is snared in a net of greed, conspiracy and betrayal. To ask other readers questions about Madam Tulip and the Bones of Chance, please sign up. “If something sounds too good to be true, then it is,” Bruce confirms. But what could possibly go wrong? Derry and Bruce have both been hired to act in a film shot in Scotland, and they’re earning good money. Not only that, Derry, cast in the role of fortune teller (of course), has two very appealing men circling around her, and one is a powerful castle-owning multimillionaire. True, the director of the film is perfectly obnoxious, and the male lead is a pop star, not a professional actor, but isn’t that the way things go in today’s film world? Add in poachers, highly unpleasant characters, a former casino hostess from Las Vegas, obnoxious journalists, a bit of interference from Derry’s loopy artistic parents, and all the elements of a good Madame Tulip story are well in place. Thankfully, even the excitement of a film set and the complications of fortune telling don’t hinder Derry from being as sceptical as usual; and Bruce, although in the grips of stage fright, is always on hand to prevent total disaster. Derry O’Donnell is an actress. She is also Madam Tulip, the celebrity fortune teller who gets caught up in an unpredictable game of greed, conspiracy and betrayal in the Scottish Highlands where getting out alive may be as difficult as understanding her eccentric parents. MADAM TULIP AND THE BONES OF CHANCE by David Ahern is another quirky mystery where even the most prodigious armchair sleuth will find that predicting the outcome is just one too many twists away from possible! Secrets will be sh Derry O’Donnell is an actress. She is also Madam Tulip, the celebrity fortune teller who gets caught up in an unpredictable game of greed, conspiracy and betrayal in the Scottish Highlands where getting out alive may be as difficult as understanding her eccentric parents. MADAM TULIP AND THE BONES OF CHANCE by David Ahern is another quirky mystery where even the most prodigious armchair sleuth will find that predicting the outcome is just one too many twists away from possible! Secrets will be shared and the greatest acting will be done off screen as Derry becomes entangled once again in mystery, murder and mayhem. I received a complimentary ARC edition from David Ahern! I have already had the pleasure of reading the first two books in the series and really got involved with the quirky characters and totally off the cuff entertaining stories. This book though has to be my favourite so far. I just loved returning to these now much-loved characters to see what mischief Derry’s ‘talent’ could lead them into. The books are more on the cosy mystery side to curl up with as they really are pure gems to try to work out the who and why events are happening, that everyone I have already had the pleasure of reading the first two books in the series and really got involved with the quirky characters and totally off the cuff entertaining stories. This book though has to be my favourite so far. I just loved returning to these now much-loved characters to see what mischief Derry’s ‘talent’ could lead them into. The books are more on the cosy mystery side to curl up with as they really are pure gems to try to work out the who and why events are happening, that everyone else seems to be oblivious to. I have to giggle away at some of the situations she gets up to the neck in. Now Derry doesn’t perform as herself in the role of Madam Tulip. Getting ready is an art in itself, with copious amounts of makeup, wig and padding. Not many people know who she really is. The character was originally brought about to subsidise the lack of cash flow from her acting career. Madam Tulip has become quite a celebrity in her own right but it has also got her into some pretty sticky situations in the past and this book is no different. Being Madam Tulip gives Derry the opportunity to probe into people’s minds and feelings and push the wrong buttons! When Derry and her most faithfully friend Bruce, get the opportunity to go to the Scotland in real paid acting roles they jump at the chance. It is a perfect part for Derry, one of a gypsy fortune-teller and seeing as she has a bit of a gift in that department, she should be a natural right? Well the props that she is using, the bones of chance, seem to work pretty real for her leading to her new and potentially deadly outcome. After her vision she begins to see people in a very different light. Although this story is set mainly set in Scotland David Ahern manages still to include the key characters that I have grown to love and cringe at on behalf of Derry. Bruce has to be my all time favourite, Derry’s best friend and quite handy with his many hidden talents from his past life. Her parents, on the other hand are a breed all to themselves, quite hilarious, as long as they aren’t your parents! So when the opportunity comes up to not only make a little extra cash but also the chance to investigate the her latest theories, Derry takes on the role as Madam Tulip to ‘tell the fortunes’ of not only fellow actors but also the local gentry. Derry O’Donnell aka Madam Tulip, society fortune teller, has a habit of getting herself into situations she would much prefer to avoid. As she and her two good friends, Bruce and Bella, mull over the idea of starting their own theatre company Derry’s agent phones with an unheard of proposition—a movie role to be filmed in the Scottish Highlands, with no audition. The problem was that the offer is initiated by someone Derry has no wish to meet again. Bruce and Bella are stunned when they realise Derry O’Donnell aka Madam Tulip, society fortune teller, has a habit of getting herself into situations she would much prefer to avoid. As she and her two good friends, Bruce and Bella, mull over the idea of starting their own theatre company Derry’s agent phones with an unheard of proposition—a movie role to be filmed in the Scottish Highlands, with no audition. The problem was that the offer is initiated by someone Derry has no wish to meet again. Bruce and Bella are stunned when they realise Derry has turned down the role. From the start the reader is aware things are bound not to run smoothly for Derry. She’s not happy playing Madam Tulip in the movie, feeling it would compromise her alter ego and refuses to consider the role unless the name is changed. Apart from that, it’s a very unusual way for an unknown actor to secure a role. But it seems the film company really want Derry and are prepared to change the name of Derry’s character…and offer Bruce a part as well. It looks like they’re both headed for Scotland. Meanwhile Derry’s tangled family dynamics are brought into play with her mother Vanessa, organising a show in an art gallery in Edinburgh. She wants Derry to persuade her father, Jacko, to be one of the two exhibitors. Although they’re divorced, Vanessa is still Jacko’s agent and Derry very often finds herself in the role of peacemaker in her parents’ volatile relationship. David Ahern has created a wonderfully atmospheric adventure for our quirky and inquisitive heroine, not least with the descriptions of Scotland. ‘An island-studded sea sparkled, blue and other-worldly’ and ‘A heather-covered hillside, golden red, rose steeply inland. In the distance, mountains reared up, grey and forbidding.’ I really enjoyed this addition to the series. The diverse and colourful characters, even the secondary, sometimes obnoxious ones, are wonderfully realised and the author’s wry humour lifts the whole narrative. There’s intrigue and danger aplenty with a paranormal touch. At first Derry’s ‘gift’ was just part of her Madam Tulip persona, even if her father was the only one who chose to believe it, but after her terrifying experience with the ‘bones of chance’ things look very different. Our leading lady, Derry is passionate about her work as an actor and is thought of as both a talented and professional individual. From the start of the story, I sensed that things were not about to go to plan for our heroine when she is offered a mysterious role in a film that is to take place at an old Scottish castle. Something niggled at the back of my mind- a feeling I often get when reading Ahern's work. His tension building skills are amazing and kept me on edge from the first page to the Our leading lady, Derry is passionate about her work as an actor and is thought of as both a talented and professional individual. From the start of the story, I sensed that things were not about to go to plan for our heroine when she is offered a mysterious role in a film that is to take place at an old Scottish castle. Something niggled at the back of my mind- a feeling I often get when reading Ahern's work. His tension building skills are amazing and kept me on edge from the first page to the last. Such brief descriptions really brought the story to life for me and helped to capture my imagination. The author has a marvellous way of forewarning Derry's character of impending danger. This quote comes shortly after Jessica (Film Director's Personal Assistant) has a psychic reading performed by Derry, in which Jessica repeats strange phrases and peculiar gestures. It's almost as if she's trying to get a secret message across to Derry without anyone overhearing and suspecting. I found this to be rather odd and began to suspect Jessica of some sort of foul play. Ahern goes to great lengths to paint Derry's psychic abilities as believable, mainly by describing familiar sensations that most readers have experienced at least once in their lives. The sheer detail of these physical sensations gives a lot more credence to Derry's unique extra-sensory abilities. Readers can experience these sensations along with Derry, as if the events of her life are actually happening to them, first hand. Of all the characters, there was one that constantly made me smile, and one other that had me questioning where their loyalties lay. Jessica (Carson's PA) grows more mysterious with each chapter that passes. At first, I saw her as a sweet young woman with great potential, but as the story continued, her personality seemed to shift. Her moods were never the same and there was always something eerie about her choice of words when speaking with Derry. Needless to say, this got under my skin, making me question Jess's moral character. On the other hand, Derry's father, Jacko is an absolute delight. He always seems so full of life and never misses an opportunity to tell Derry just how proud he is of her. Even Jacko's casual greetings are fuelled by warmth, love, and compassion. Jacko encourages Derry to hone her unique abilities and is one of the most caring father figures I've witnessed in literature. This book far exceeded my expectations, proving that The Madam Tulip Series can only get better. After all Derry went through, she is still able to look on the bright side of things, with hope for a more promising future. I rate this book 5 stars. I would gladly recommend Madam Tulip and the Bones of Chance to anyone interested in Thrillers, Mysteries, or even Historical Fiction. But not even the actors that Derry, Bruce and Bella knew had an inkling of the dash of good fortune h This originally appeared at The Irresponsible Reader. But not even the actors that Derry, Bruce and Bella knew had an inkling of the dash of good fortune heading toward Derry and Bruce -- they were given roles in a movie without the need to audition, if they could get themselves to Northern Scotland and Derry might have to give a reading or two. For readers new to this, Derry played the role of Madam Tulip on occasion -- giving psychic readings at parties and the like. Derry was initially reluctant to take the role, but she needed the work -- and Bruce only got his job if she took hers. So they find themselves in Scotland -- a land not necessarily ready for or welcoming toward people making a film. Which almost describes the director, too. He's clearly nuts -- and not in the genius filmmaker kind of way. Many of the other professionals on set did seem to know what they're doing, which went a long way to keeping the production running. But mostly, the antics on the set made for good comedy. Derry is given a set of bones on set to add to her gypsy character's fortune telling routine in the historical drama. While practicing with the bones, Derry starts to have visions, we'll get into that later, but it's clear that she's gotten herself into more than meets the eye (again). As usual, Derry's desire to help people and natural nosiness gets her involved in these people's lives (okay, she might have less altruistic motives about the estate manager). And that's before someone tries to kill her and/or one of her new friends. Once that happens, Derry can't help but dive into finding out what's going on. Madam Tulip may be able to guide the direction she goes, but it's Derry's on cleverness that will carry the day. In Madam Tulip, her father seems to actually believe that she had some psychic ability, otherwise it seems like a lark, something she does for giggles. But in book 2, it seemed possible that she might actually have some abilities, but there wasn't much in the novel that was more than a hint or suggestion that she did. But here? That hint, that suggestion is gone -- she sees things when she rolls the bones, her Tarot readings do say a lot that's true (and future) about the person she's reading the cards for. I think I liked it better when the reader wasn't sure if she had gifts or not, honestly -- but only a little bit. I've been a fan of this series since chapter two or three of the first book, so you're not getting anything really objective here (not that you ever do). But this is the best that Ahern's done yet -- there's plenty of good comedic writing (there are lines I tried to shoehorn into this, but couldn't, that made me laugh out loud), a mystery you can't really guess the solution to, a little peril, a dash of romance and some fun characters. That's not even counting Derry and Bruce. Bones of Chance is a strong entry in the series that will please fans, but it's also a decent jumping on point for new readers. Basically anyone who enjoys light mysteries with a touch of something extra should have fun with this book. There are times that I fear my enthusiasm towards a book doesn't come through, and I usually don't know how to achieve that better -- this is one such time. I found myself grinning frequently while reading this -- I chuckled, I even laughed out loud. I had a few theories about the trouble that Derry was getting herself into, and failed with almost all of them (a sign of a good mystery/thriller, if you ask me). If you're not picking up my enthusiasm, that's on me, just trust me that it's there. Author David Ahern provided an e-copy of Madam Tulip and The Bones Of Chance for review. This is the third entry in the Madam Tulip series, and for me the strongest so far. The story is more focused, tighter. As I gave the first two books high marks, this is saying something. Set in the Scottish Highlands, our hero is ostensibly there to make a movie. But as fans of the series know, trouble is never far away (I'd be really worried if Derry, aka Madam Tulip, moved into my neighborhood). As readers Author David Ahern provided an e-copy of Madam Tulip and The Bones Of Chance for review. As readers have come to expect from David Ahern, the story is full of twists and turns. No character is all they appear to be keeping the reader on their toes. Madam Tulip actually appears a bit later than usual this time. The action well balanced, the intrigue tight and the suspense builds to an incredibly satisfying climax. The supporting cast is still there; business minded Mom, devil-may-care and flamboyant Dad, and the rest we've come to know. They stay where they belong; on the periphery. Made for a much smoother read. Madam Tulip and The Bones Of Chance by David Ahern is for sure my favorite so far. It's a good thing when later entries in a series get stronger as they go. Enjoy! Derry’s supporting cast includes her mother Van I don’t watch TV. I don’t even own a television. But if I did, I imagine waiting for a new episode of my favorite series each week would feel a bit like reading the next Madam Tulip. Certainly all the ingredients are there. You have your (attractive of course) young actress, Derry O’Donnell—permanently broke and scratching for the next job in the Dublin theater scene, consistently dating the wrong flavor-of-the-week, while waiting for The Big Break. [QUOTE] Derry breathed out as quietly as she could. A small but distinct and unambiguous tingle had developed at the nape of her neck. Could she try one more time? Derry O Donnell is back, in this the third novel in the series from David Ahern. Derry is a jobbing actress, who works part-time as a fortune teller, under the guise of Madam Tulip. As in the previous novels, Derry seems to always find herself caught up in real-life mysteries and drama. In The Bones of Chance, it’s not long before Derry finds herself involved in another unexpected adventure. Derry’s mother is a successful art dealer living in the US and her father is a contrary artist living in the West of Ireland. The marriage is over and Derry, as the only child, often finds herself as a referee between the two of them. The antics of her parents always provides a humorous edge to the Madam Tulip books, even though, more often than not, it’s in parallel to some murderous activity taking place!! Derry accepts a job in Scotland. A movie is being made out on the Scottish Highlands and Derry is to play the role of a fortune teller. At the beginning Derry is slow to accept the job but with bills to pay and no other work on the horizon, Derry acquiesces to the role and is only too happy to hear that her friend Bruce is also joining the cast. They travel to a remote location and all seems to be in order, a typical set of any movie where chaos looms, yet movies get made. The backers of the movie are two very wealthy business men, Jim Carson and Alex Dunbar, who have rather ostentatious lifestyles. Derry gets an unusual request to arrive at Jim Carson’s residence to do a reading for Sally Carson, his wife. Derry, without her fortune-telling paraphernalia, debates whether to accept this request, as she feels more comfortable when she is ‘in costume’ but this is the boss, this is for the man who pays her wages… Derry never appears fully at ease in the company of the Carson family. Derry’s instincts have always helped her in analysing a personality and in the case of Sally Carson, something is ‘off’ for Derry. So begins another adventure for Madam Tulip. It’s not long before Derry discovers that all is not quite as it seems. There is something afoot in the Scottish Highlands and Derry soon finds herself uneasy in her surroundings while at times actually fearing for her life. With Bruce, her close friend and Ex-Navy SEAL by her side, Derry starts to unravel the truth, only to discover that the truth can be very, very dangerous indeed!! 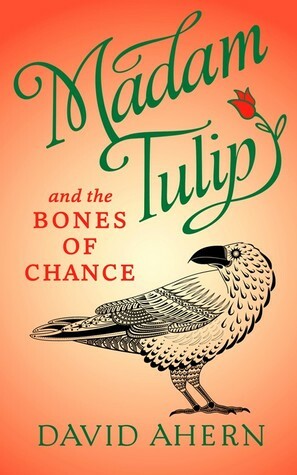 Madam Tulip and The Bones of Chance is a mischievous and entertaining read, if you are looking for something a little lighter. With an insight into both Derry’s personal life, as chief negotiator between her parents, and her rather dangerous adventures as Madam Tulip, David Ahern knits the two stories together very well. I'm the kind of girl who gets totally, embarrassingly, nerdily excited when they see that another book by a favorite author is getting released. 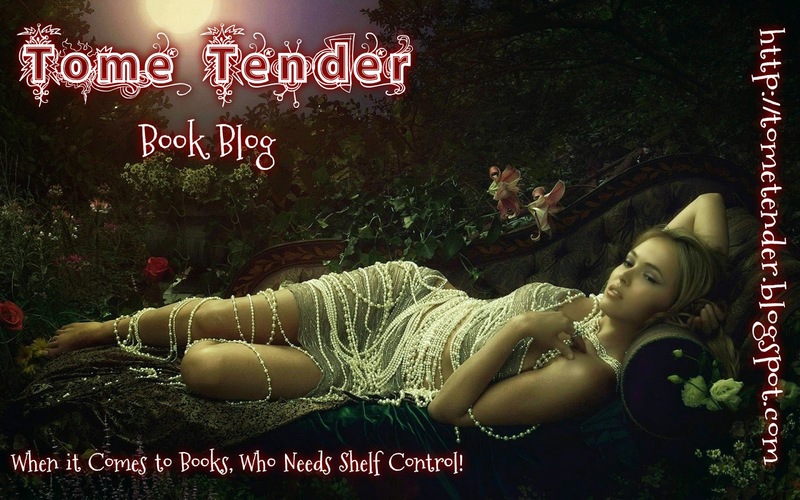 When the book is something off the best seller list I often have another book lover to gush about the up coming book with. When the book is less well known I instead kick into overzealous-crazy-book-lover-who-insists-you-must-read-this-book mode. I'm not interested in asking what my friends and family think about this behavior of mine but I like to imag I'm the kind of girl who gets totally, embarrassingly, nerdily excited when they see that another book by a favorite author is getting released. When the book is something off the best seller list I often have another book lover to gush about the up coming book with. When the book is less well known I instead kick into overzealous-crazy-book-lover-who-insists-you-must-read-this-book mode. I'm not interested in asking what my friends and family think about this behavior of mine but I like to imagine they find it useful and charming. The same great cast of characters are again unwittingly getting themselves into hot water. And it is again the best kind of page turning mystery with enough laughs to keep it lighthearted and fun. Without a doubt! These books should be on the best seller lists! This is the third Madam Tulip book, and my favourite so far! Bones of Chance can be read as a stand-alone, but I highly recommend following the series through in order. Derry and the gang have settled into their rhythm at this point and the relationships are natural and familiar. As usual Jacko and Vanessa steal more than their share of the limelight during their brief appearances: no need to wonder where Derry gets her dramatic talents! The plot, as usual, veers from the mundane to the exotic; mixing master criminals in amongst a cast of actors, crew members and a smattering of Scottish gentry. Bruce also proves himself invaluable again, with his wide array of survival skills; essential to anyone who wishes to spend any length of time around the luckless Derry and her talent for unintentional entanglement with danger. I always enjoy the dream and vision sequences and playing the game of guessing along as to what they symbolise and how it all fits in with the more earthly clues and hints along the way. I was surprised at two points in the plot when my predictions had gone far astray and impressed at the authorial sleight of hand that gently led me in the wrong direction whilst still playing fair in terms of the information presented. The standout aspects for me were the film shoot setting, which added a bit of glamour and excitement. It was nice to see Derry doing a bit of her ‘other’ day job, and doing it well. I also particularly liked the emphasis on Derry’s integrity in her Tulip role. It had been touched upon previously, but here there were a number of occasions where it would have been easy for Derry to agree to influence her readings, thereby furthering the plot with little effort, but both she and the author took the harder high ground. I really felt this gave a depth and detail to her characterisation: she may or may not believe in her gift, but she won’t be led into mixing the two careers. If you enjoy your cosy mysteries with a bit of action and humour, and a lightly paranormal touch, then I can highly recommend Madam Tulip and Derry! Silence is sometimes described as stony. This silence bore no resemblance whatever to a rock. In spite of appearances, rocks are not great listeners. You might think they are hanging on your every word, but they are not; they are ignoring you. No, the silence in which Bella and Bruce sat was more the sort of silence in which a sponge sits. Think of a dry sponge, inexorably drawing towards it every wisp of vapour, every drop of precious, life-giving moisture. *Thank you to the author who gave me a free eARC in exchange for an honest review. Like the first two books before this one, I like the cover. The colors go nicely together – as far as green and orange can go together. Yet, the orange really makes the green title pop and it works. The bird makes sense, even if the title doesn’t suggest so. I enjoyed the first two books of the series, so when approached by the author to read this one, I was more than happy t *Thank you to the author who gave me a free eARC in exchange for an honest review. I enjoyed the first two books of the series, so when approached by the author to read this one, I was more than happy to give it a go. Madam Tulip has gotten herself into yet another pickle – and I’m not just talking about the crime sense either. Her publicity has taken an interesting detour, her parents are as neurotic as usual, and, of course, there’s a crime involved. This plot is just as compelling as the rest of the series. The crime was woven in a way that it was easy to understand and it made sense. It was able to come together nicely by the end of the book. I’m still a huge fan of Derry – Madam Tulip – and Bruce. They made great protagonists and I love both of their voices. I’ll admit, I could still do without Vanessa and Jacko, Derry’s parents. While their banter can be humorous, I sometimes didn’t think it fit well with the rest of what was going on. Jessica and Sally were two great characters. I really loved their addition to the story and they really brought a lot to the table. This book is easy to read and the crime is laid out well enough that I was able to understand it. I’ll admit I felt there were some scenes that weren’t needed, but nothing really jarred me out of the story. While this is the third book in a series, it can be read as a stand-alone. However, there were a few references to the previous book, so I’d suggest reading it in order, if not just to get a feel for the characters. This was another great adventure for Madam Tulip. I enjoyed reading it from start to finish. While there were some slow parts, I never felt bored or had to stop for any reason. This is such a fun series... I've read and reviewed the first two books in the series (reviews here and here), and when the author asked if I would be interested in the third, it was an easy and obvious yes. Derry O'Dell is a lovely character who finds herself in the most unusual circumstances. Said circumstances *should* by rights render the stories unbelievable. Derry has the most appalling luck, managing to stumble into violence, death, and mayhem more often than any regular human being shoul This is such a fun series... I've read and reviewed the first two books in the series (reviews here and here), and when the author asked if I would be interested in the third, it was an easy and obvious yes. Derry O'Dell is a lovely character who finds herself in the most unusual circumstances. Said circumstances *should* by rights render the stories unbelievable. Derry has the most appalling luck, managing to stumble into violence, death, and mayhem more often than any regular human being should. Yet somehow, despite the exceptional events, the stories always feel genuine and manage to stay just this side of over-the-top in the final analysis, regardless of how many bizarre occurrences befell the crazy-fun cast along the way. If you like your cozy mysteries with just enough of a mysteriously psychic spin to keep you on edge wondering what might be possible, then this is definitely a series you should check out! My review copy was generously provided by the author. Once again, this provision did not color my review - the books are just that fun! If you have enjoyed the first two Madam Tulip books, I see in my crystal ball, the 3rd in the series is coming out April 12. (you can preorder it). Things are looking up for Derry. She has been offered a role in a movie, filming in Scotland. She is to play a person who tells fortunes. Should be easy for her, right? Her good friend Bruce, is offered a role also, so off they go to Scotland. There are a lot of "characters" in this story (meaning interesting personalities), and Derry ends up right in If you have enjoyed the first two Madam Tulip books, I see in my crystal ball, the 3rd in the series is coming out April 12. (you can preorder it). There are a lot of "characters" in this story (meaning interesting personalities), and Derry ends up right in the middle of another mystery. Her father is in Scotland also and is up to his usual antics. Family spats, sneaking around, feuds over land and castles, getting shot at..., and generally in the thick of it. The book has some laugh out loud parts, and some very tense, suspenseful parts as did the first two books. Will Derry find fame, love and fortune this time around? I am really enjoying this series. I am already wondering what Derry and Bruce will get up to next. I received a free copy and voluntarily provided a review. REVIEW: 4.25 stars--MADAM TULIP AND THE BONES OF CHANCE is the third instalment in David Ahern’s contemporary, adult MADAM TULIP slightly paranormal, mystery series focusing on the adventures of Irish American actress and celebrity fortune-teller Derry O’Donnell aka Madam Tulip. MADAM TULIP AND THE BONES OF CHANCE can be read as a stand alone without any difficulty. Any important information from the previous story lines is revealed where necessary. SOME BACKGROUND: Derry O’Donnell is the daughter of American-born mother PR representative Vanessa, and her Irish-born father, eccentric artist and gambling addict Jack O’Donnell but Derry is also an amateur detective with psychic powers and visions of the future she employs in her role as the celebrity fortune-teller Madam Tulip. Told from third person perspective (Derry O’Donnell) MADAM TULIP AND THE BONES OF CHANCE follows actress Derry O’Donnell as she reluctantly accepts the role of a gypsy fortune-teller in a Scottish time-travel movie shooting in the Highlands of Scotland. Along with her best friend, fellow actor and former Navy SEAL Bruce, Derry embarks on a cross-country journey through Scotland where the sights and sounds hide centuries of secrets and sins. As the filming begins, Derry must come to terms with a group of obnoxious film professionals, a number who apparently, have something to hide. Several requests to ‘read’ the future find our heroine the target of a potential killer, a killer whose secrets do not want to be revealed. MADAM TULIP AND THE BONES OF CHANCE is a slow building, detailed story line that takes the reader through Edinburg and Glasgow, and the rolling hills and crumbling castles of the Highlands of Scotland. Derry’s parents continue their slightly acrimonious relationship pulling our heroine into the middle of an uphill struggle with their own fortune and fame. The large ensemble cast of spirited secondary and supporting characters pushes the envelope of liability and collaboration as it pertains to the who-dunnit aspect of the mystery and suspense. The premise is entertaining and engaging-captivating the reader’s attention with the slow reveal of possibilities; the characters are animated and energetic. MADAM TULIP AND THE BONES OF CHANCE is a story of betrayal and vengeance; power and greed; with the added humor of the O’Donnell’s ongoing triumphs and failures. I will add there are some Scottish/Irish expressions and words that may be unfamiliar to North American readers. Derry O'Donnell, is a borage tea drinker and a struggling actress. She is the lady behind Madam Tulip the fortune-teller. Derry her fellow friends and actress and actor; Bella and Bruce who are also desperate struggling to find work. Derry get's a call from her agent; Pam telling her of a job is for her to be in a movie to play Madam Tulip in the film. With no audition needed, Derry is suspicious as this is pretty unheard of in the acting world. She finds out a former acquaintance Torquin; who she came across at her previous job as Madam Tulip, which didn't go well! Derry turns it down flat not just because of Torquin but also because she doesn't want Madam Tulip to lose her identity. Her friends Bruce and Bella think's she is mental to be turning down an acting role in a movie without even having an audition, and lets face it she could do with the cash. When a second phone call comes from Pam; expressing they really want her in the movie and are prepared to pay her £1000 a day plus there's a role for Bruce. But she still turns it down. In a bid to gather her thoughts she takes of to see her father; Jacko an artist, when she receives a call from her mother an agent for artists and her fathers agent on all accounts. They have separated by have a funny kind of relationship. Derry's mother what's Derry to break the news to her father that she has an exercitation, but there's a slight catch with that which Jacko won't be happy with!!! Jacko is excited to see his daughter as he has something to show her. He takes her to a derelict castle; which he has just percussed. When he start's acting suspicious Derry confronts him, when he lets slip about his bet to find the bones of Thanddeus Legend berried somewhere in the castle and it becomes clear why he wanted her here to see if she could use her gift to find them. Not being amused she tells him of the movie offer and her father thinks she should do it. So Derry agrees to do the movie, with only on condition that they don't use Madam Tulip's name. Bruce and Derry make their way to Scotland, getting into a minor drama when they arrive at the hotel and a few more to come. Derry finds out some shocking new's that years ago there was a body found at the windfarm site, and so the mystery begins. When on set she is given a draw string bag with a few small bones inside which she has to use in the film, and decides to practice with them in her room. Poor Derry has to deal with doing a private function as Madam Tulip for Mr Carson and his wife; where she meets handsome Alex Dunbar who seems that he and Mr Carson are close but in a sinister manner. She get's asked out on dates, by separate men!!!!!!! Then there's an accident which could mean the film is cancelled, plus there's something more sinister going on that Derry gets caught up in. Will the film be cancelled? Will Derry find love at last? What is really going on between Mr Carson and Alex Dunbar? Will Jacko win his bet and find those bones? I have to say I really enjoyed this lists instalment of Madam Tulip. I said in the review I did for the second book that, it had too many characters in it. But Madam Tulip and the Bones of chance, has just the right amount. It was so nice to come across some favourite and new characters, which keep's the story fresh! I really enjoyed the mystery and drama that takes place in the book, making me what to read more after every single chapter. I adored the description of the Scottish countryside and buildings, I really felt like I've been there now, well in my mind any way!!!!!!!!!!!!! I've been thoroughly entertained by this story and really recommend it!!!!! I really feel like I've been pulled back to the Madam Tulip series, I can't wait for the next instalment! This is the third book in the Madam Tulip series and I have to say it is my favourite so far. I have given previous books in this series four stars each, but this one definitely deserved a five star rating. I really enjoyed the setting of this book much more than the previous books and this had a big impact on my rating as well. The way Ahern has written this book and developed the characters through the series shows and I can say without a doubt that Derry and co. are growing along with the ser This is the third book in the Madam Tulip series and I have to say it is my favourite so far. I have given previous books in this series four stars each, but this one definitely deserved a five star rating. I really enjoyed the setting of this book much more than the previous books and this had a big impact on my rating as well. The way Ahern has written this book and developed the characters through the series shows and I can say without a doubt that Derry and co. are growing along with the series. Ahern has really developed a great character with Madam Tulip and the characters that surround her such as Bruce and her parents. This series would not have been something I would have normally picked up in a bookstore and I love when I find I series that I love for being so different to my usual reading tastes and also different in its genre. I can really imagine all the characters and the way they talk in my head which is always a great thing for me. Derry is definitely my favourite character, and not just because she is the main character. I really do enjoy the way she takes in her Madam Tulip side character and the way she interacts with other characters; especially her parents. I automatically have a smile on my face when she speaks to them.The book is a fast paced read and can easily be read as a stand alone to the other two books which for me is a very good sign of a great writer. The Madam Tulip series brings something new to the crime/adventure genre (I'm not very good at placing books in genres mind!) that we should all be diving into. I would also especially recommend this book to people who like reading a good 'who done it' but don't want all the gritty/dark side of that type of genre. Be careful what you ask for. I’ve been an avid reader all my life, but now I read professionally, and sometimes it can be, quite frankly, a bore. So it’s a great pleasure when I’m offered a book that I actually enjoy. I have always liked David Ahern’s Madam Tulip stories, but this one is even better than the rest. Ahern’s writing is maturing. The usual theatrical chitchat that he always starts out with is quicker and wittier than it used to be. The usual conflict, which always involves just a lit Be careful what you ask for. I’ve been an avid reader all my life, but now I read professionally, and sometimes it can be, quite frankly, a bore. So it’s a great pleasure when I’m offered a book that I actually enjoy. I have always liked David Ahern’s Madam Tulip stories, but this one is even better than the rest. Ahern’s writing is maturing. The usual theatrical chitchat that he always starts out with is quicker and wittier than it used to be. The usual conflict, which always involves just a little too much agonizing over the lack of jobs, is turned upside down by the appearance of a humdinger of a film role with a great amount of money to boot. Since the story takes place in Scotland, the writing almost achieves the feel and grace of the Alexander McCall Smith stories, although this novel outpaces McCall Smith in potboiler mode. The only drop in my enjoyment came in the last quarter of the novel, when the detective plotline takes a far-too-sudden right-angle turn and skitters into deus ex machina territory. We find ourselves beautifully immersed in the internal reactions of the main character as disaster sweeps over her, but the practicality of the plotline is sketchy and the villains lose their individuality as they don the anonymous guise of the military. However the action is strong and the suspense enthralling, so we read voraciously through to the end. In an Oyster Shell - I feel like this was the best Derry is back waiting for that next big audition. When she is given a spot on a movie with no audition she is very skeptical. Especially when she finds out she was recommended by someone she does not trust. After some negotiating she and Bruce get onto the movie. Things get dicey when she puts on her Madam Tulip costume and finds herself deep in a mystery. As always she gets more involved than planned as she tries to figure out what is going on. In an Oyster Shell - I feel like this was the best installment yet. I love this series and am excited when a new book comes out. The Pearls - I love the push and pull of Derry and her Madam Tulip persona. She's getting to be well known in Europe and that makes for exciting possibilities. It's very interesting that she get's cast as a fortune teller though they really wanted Madam Tulip. I love her seventh son sense that always seems to get her in trouble. You can't talk about the Madam Tulip series and not say something about the characters. I love that Bruce is Derry's sidekick and is often there in her time of need. There was a nice array of characters that were causing lots of trouble this made for an interesting read. Vanessa and Jacko always add depth to the story and more problems for Derry. I didn't know what I expected but this was not it. Because it was better. When I accepted this arc I thought I'd get an ordinary mystery, be somewhat entertained and never think about Madam Tulip again. And to me it's okay if that happens, because reading just to pass time is nice, too. But it's been 2 months since I read The Bones of Chance and my life's been more than simply stressful so there are quite a few reasons why I should've forgotten about Madam Tulip, but I did not. I can't even put my I didn't know what I expected but this was not it. I can't even put my finger on why that is. Because while the mystery was alright it wasn't the greatest thing I've ever read and at times it really was over the top - but that somehow fits perfectly? Maybe/probably it's the main character Derry/Madam Tulip. I feel like I know her irl and like I've talked to her many times before. Maybe even have her read my cards. I probably like this book so much because of the way the mystery and the paranormal come togehter without fighting over who comes out on top. I could've done without the romantic aspects though. Last Words: I'll read the others parts some day as well. Madam Tulip is back in this third installment of the Madam Tulip series, and she’s managed to get herself mixed up in yet another set of strange occurrences. With her close friend and fellow thespian Bruce, Derry (AKA Madam Tulip) quickly learn that there is more than just hunting going on in the Scottish Highlands. Or at least game hunting. As with the first two books, I happily curled up to read this latest book, knowing that I was in for an enjoyable story, full of intriguing characters, suspe Madam Tulip is back in this third installment of the Madam Tulip series, and she’s managed to get herself mixed up in yet another set of strange occurrences. With her close friend and fellow thespian Bruce, Derry (AKA Madam Tulip) quickly learn that there is more than just hunting going on in the Scottish Highlands. Or at least game hunting. As with the first two books, I happily curled up to read this latest book, knowing that I was in for an enjoyable story, full of intriguing characters, suspense and of course a little fortune-telling. As always, the author’s writing is brilliant and colourful, the plot enjoyable, and Derry is just the most endearing character. I love getting wrapped up in her adventures. Another thing I like about this book, is like the others, you don’t necessarily need to read the previous installments in order to enjoy it. That said, you would be doing yourself a disservice if you don’t read the others because part of the fun is getting invested in the characters and their lives. Perfect for a rainy day, Madam Tulip and the Bones of Chance is the ultimate cozy mystery. This novel is the third book in Madam Tulip Mystery series, and overall, it left me longing for the mystery and Madam Tulip herself. In this novel, Derry and Bruce have to travel to Scotland to shoot a movie, where they meet and befriend some rich people. The shooting doesn’t go as well as planned, and like always, Derry is left empty-handed and involved in some serious criminal activities. Through the pages of this novel, we not only, once again meet Derry’s closest friends and her eccentric par This novel is the third book in Madam Tulip Mystery series, and overall, it left me longing for the mystery and Madam Tulip herself. In this novel, Derry and Bruce have to travel to Scotland to shoot a movie, where they meet and befriend some rich people. The shooting doesn’t go as well as planned, and like always, Derry is left empty-handed and involved in some serious criminal activities. Once again, David Ahern has done it. Another well-written, funny book! This is the third Madam Tulip book and possibly the best! They just keep getting better! I am a lover of cozy mysteries, especially if they make me laugh too! This one does just that. It could actually be read as a stand alone but I think you get more out of it if you read the three books in order. If you enjoy cozy mysteries then you'll like this one, I'm sure of it! I'm so glad that I was given this book to read! *Note: I rece Once again, David Ahern has done it. Another well-written, funny book! This is the third Madam Tulip book and possibly the best! They just keep getting better! Derry O'Donnell gets an offer she just can't refuse (which granted, isn't saying much when you're an unemployed actor). A part in a film being shot in Scotland, playing a (you guessed it) fortune teller. No audition necessary, cushy pay, and all expenses paid. Her BFF and fellow actor, Bruce is also given a part, same co Back again with another fun Madam Tulip adventure! After reviewing the previous two books by David Ahern, he graciously gifted me an ARC of the newest installment of Madam Tulip. Pos. : villains and motives less predictable than in previous novels, Derry is finally doing what she studied for, love interest emerges. David Ahern has a knack for writing mysterie novels with the right amount of humour without impairing the dramatic scenes. The story follows Derry and her pals are unknowingly going to be dragged into another adventure of the mystery kind. A surprising role comes out of the blue and it is suspicious. It drove me insane that Derry and her pals couldn't really see that. Derry, I think, was a hair suspicious, but her friends seemed a little oblivio This is the 3rd installment of the series. The first one was really good. The second one was okay. This one? Really good. In some ways, I enjoyed it more than the first book! Madame Tulip wasn’t David Ahern's first nov David Ahern grew up in a theatrical family in Ireland but ran away to Scotland to become a research psychologist and sensible person. He earned his doctorate but soon absconded to work in television. He became a writer, director and producer, creating international documentary series and winning numerous awards, none of which got him free into nightclubs. Madame Tulip wasn’t David Ahern's first novel, but writing it was the most fun he’d ever had with a computer. He is now writing the fourth Madam Tulip adventure and enjoys pretending this is actual work. David Ahern lives in the beautiful West of Ireland with his wife, two cats and a vegetable garden.